• Each of the 53 cases presents a practical problem faced by a researcher and the solution he or she selected. •The questions encourage students to evaluate the researcher’s solution and consider alternatives. •All cases are drawn from the published literature. 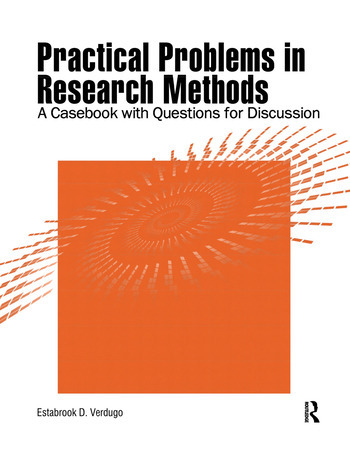 Your students will evaluate real problems faced by practicing researchers. •The extensive instructor’s guide provides discussion points as well as samples of students’ answers obtained in the field tests. •This supplementary book makes dry textbook principles come alive! Students learn that research is a dynamic process—that for many problems there are competing solutions, each with its own advantages and drawbacks. •The 35 short cases are ideal for classroom discussions. The 18 longer ones make great homework assignments.